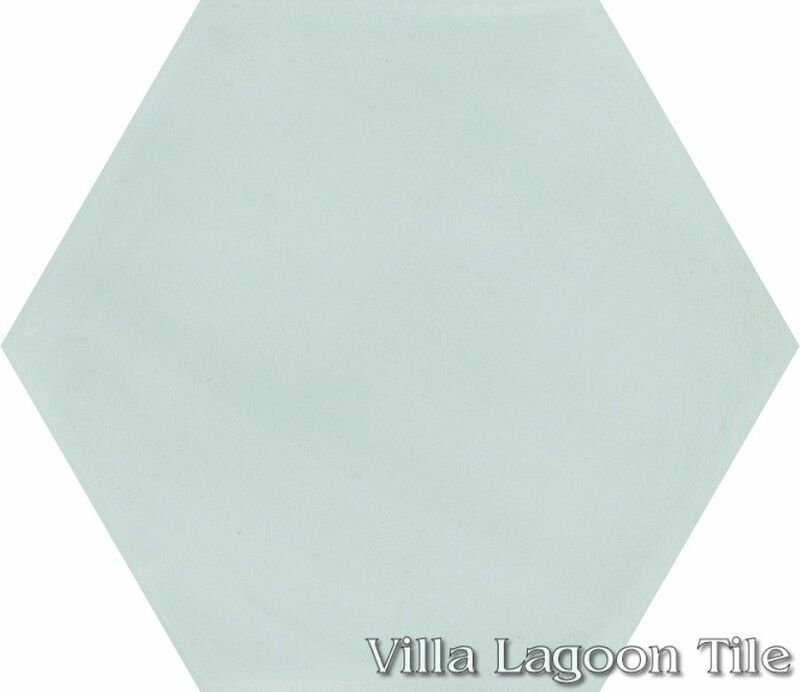 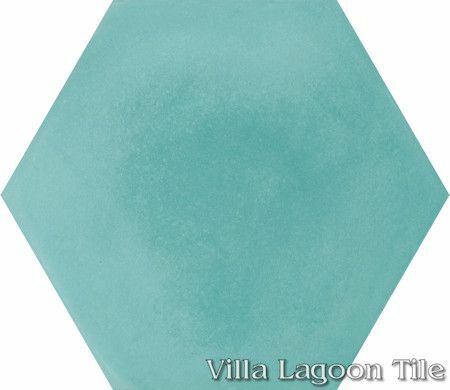 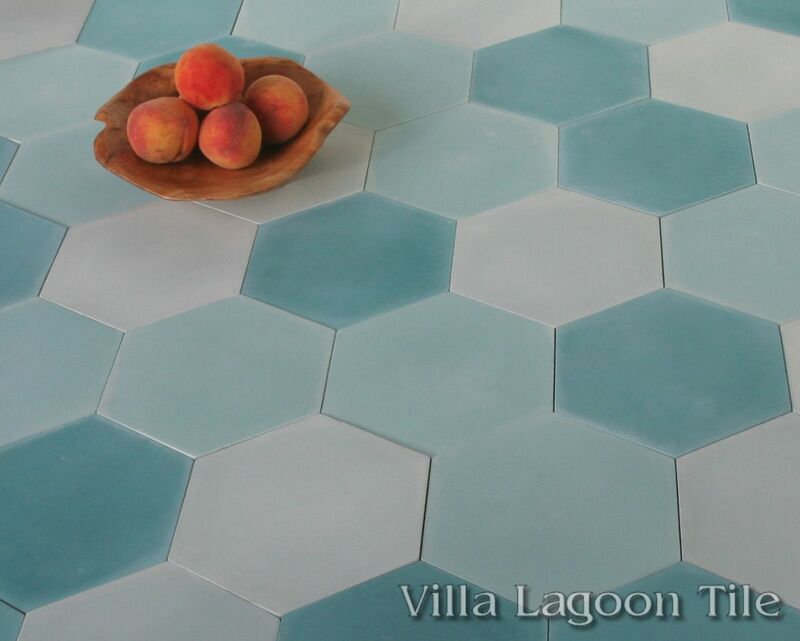 This is a new assortment of single-color 8" hexagonal cement tile, using Atmosphere, Bimini, and Seaside Blue from the South Beach Palette. 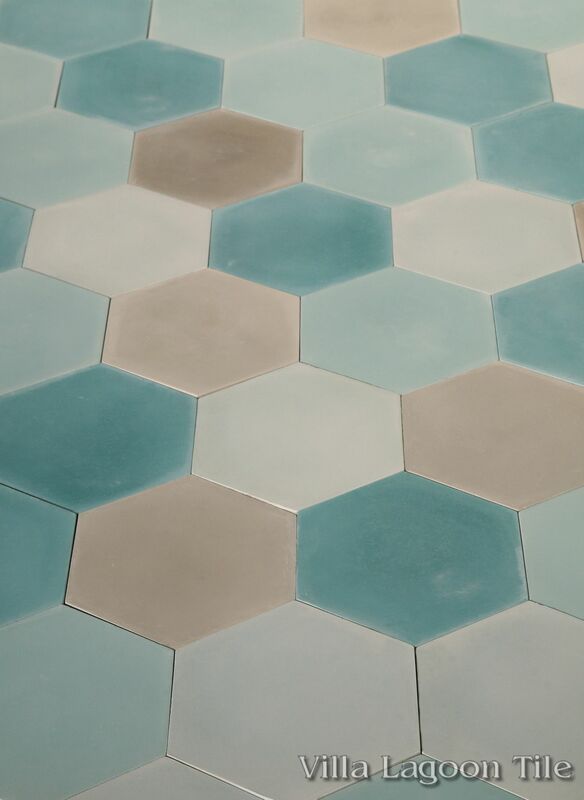 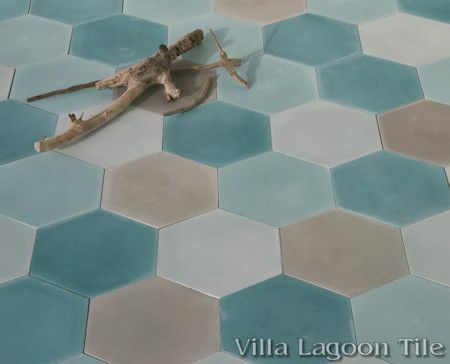 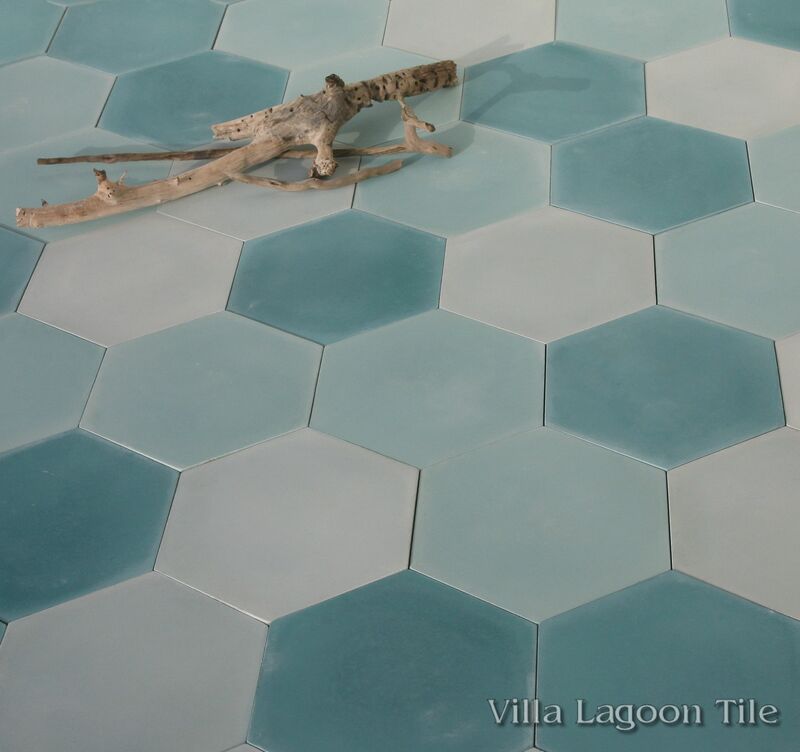 Following the great success of our Mixed Gray Hex, we decided to produce a mixed hex collection in pleasing aqua blues. 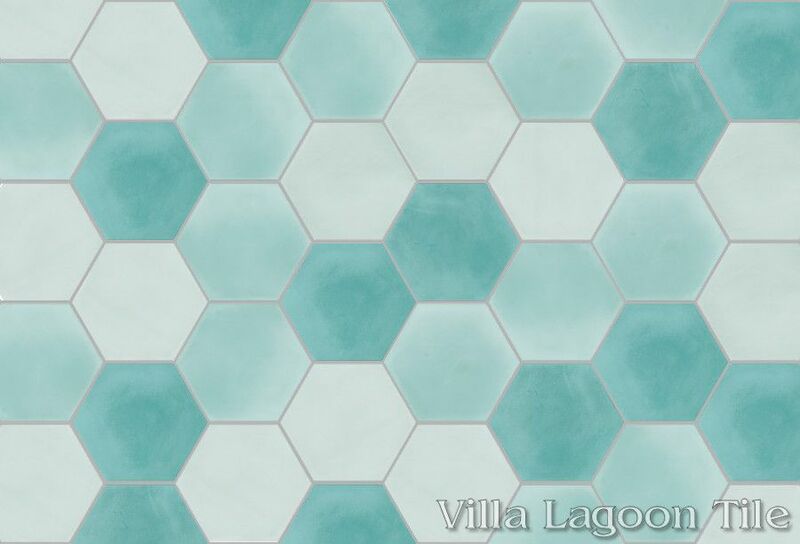 This group is perfect for a seaside location, or any project with a coastal heart. 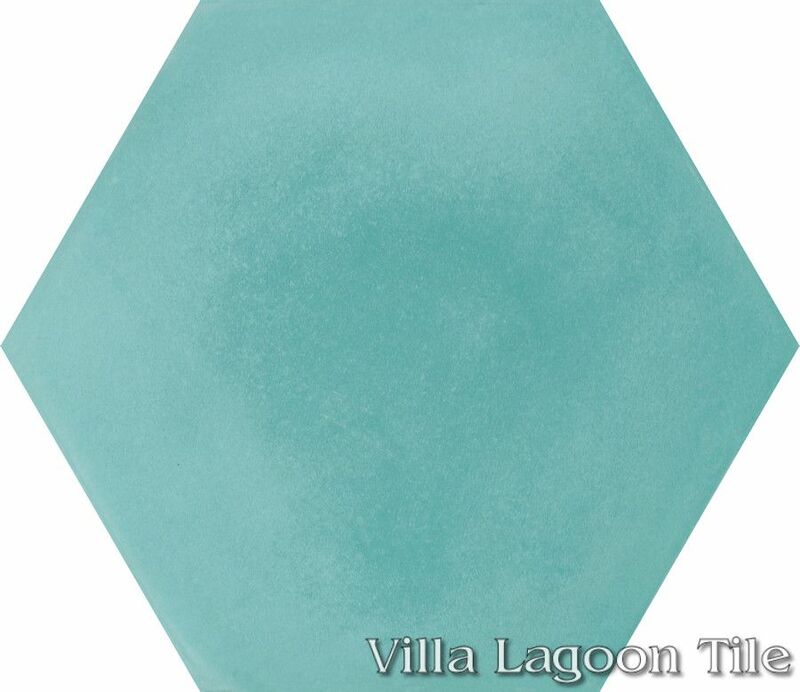 Even the names of the colors chosen paint a beautiful Bahamian picture: Sitting on a Bimini beach looking out where the Atmosphere meets the Seaside. 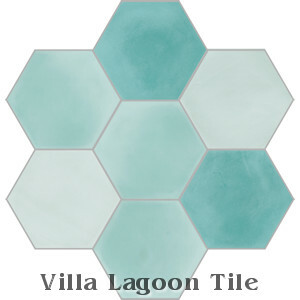 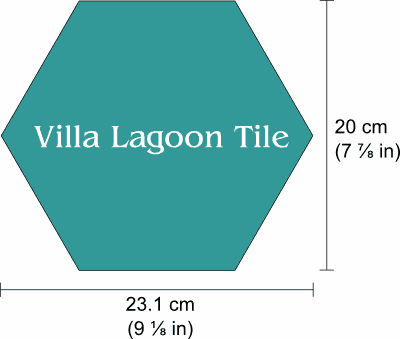 Unfortunately, individual colors from this production run can neither be purchased separately nor omitted, but you can always select your own colors and distribution ratios by choosing custom hex tile. Consider mixing in other in-stock colors. "Atmosphere" SB-4000: Click for larger image. 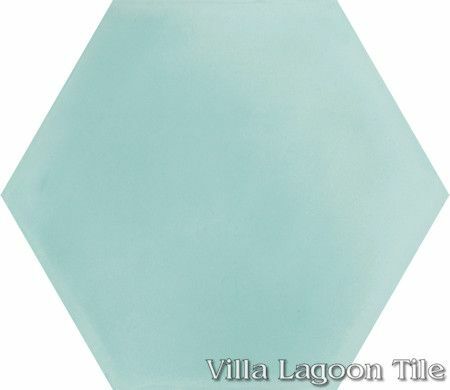 "Bimini" SB-4020: Click for larger image. "Seaside Blue" SB-3009: Click for larger image.